NASHVILLE, Tenn (RFD-TV) Ag Secretary Tom Vilsack has unveiled the USDA budget for the next fiscal year. Watch the video below for details. Sign Up – Convince our leaders to Go big on solar! Is Solar Power About to Go Through the Roof? The outlook is positively sunny for solar energy, at least in the short run. A report from CoBank says the United States could experience a jump of more than 70 percent in solar installations by 2016, thanks to a federal tax break and lower system costs. “A record amount of solar capacity will come on-line over the next two years,” said CoBank economist Taylor Gunn, author of the report. “Over the longer term, however, the industry will need to adjust to the pending reduction in the [solar tax credit], which will significantly impact the economics of solar installations,” Gunn said. The study, “Elevated Expectations for the U.S. Solar Industry,” projects that solar installation will increase from 7 gigawatts in 2014 to 12 GW in 2016. Electric cooperatives are among utilities banking on solar—several co-op representatives participated in a White House summit on the issueearlier this year. A major force behind the boom is the Solar Investment Tax Credit of 30 percent. That will drop to 10 percent in 2017, so solar investors are likely to move ahead with their projects in the next two years. Gunn said overall solar system costs are likely to fall, despite U.S-imposed tariffs on Chinese and Taiwanese manufacturers that will push up the price of individual photovoltaic panel prices in 2014. The panel price hikes will be more than offset by decreases in other system parts, such as wiring, switches, mounting systems, inverter, battery bank and chargers. Those parts, known as the balance of system or BoS, account for about one-half of total solar system costs. “For systems in the U.S. that are greater than 100 kilowatts, BoS costs are projected to decrease by 30 percent in 2024, relative to 2013,” Gunn said. Gunn added that the cost of financing is also on the wane because of greater certainty about the production capability of photovoltaic systems and their ability to generate steady cash flows. Before 1987, a typical PV module carried a 5-year warranty; by 2015, that likely will run about 30 years, he said. After the tax incentive rollback, the future of solar is less certain. The report said the solar industry will need to continue to drive down costs by perhaps 30 percent from today’s levels to break even with a 10 percent tax credit. Already a national leader in renewable wind energy, Iowa also has the potential to be a leader in solar photovoltaic (PV) energy production, according to Council research. The amount of solar energy Iowa could reasonably produce ranks 16th in the nation, and improvements in solar technology along with years of falling prices are helping build momentum in the budding industry. In a new report, Real Potential, Ready Today: Solar Energy in Iowa, the Council explains how in addition to providing useful energy, solar PV offers many other benefits: job creation, consumer savings, cleaner air and water, innovation and technology investment, and improved stability in the electric grid. The report also highlights prominent examples of solar installations from around the state and explains common public policies used in Iowa and nationwide to support solar energy. Use this link to download a copy of the publication (.pdf, 4.77 MB) or view it below. Download Real Potential Ready Today: Solar Energy in Iowa a a .pdf (4.77 MB) or view it below. Slides and figures from the Council’s publication are also available to view through SlideShare. The top 25 companies in the United States installed 28 percent more solar capacity this year over last as the costs for doing so continue to decline and fossil-fuel prices increase and become more volatile, according to a new report from a solar trade association. Since 2012, the top 25 companies have doubled the amount of capacity installed on their facilities, from 279 MW in 2012 to 569 MW as of August. Among more than 40,000 businesses, nonprofit and governmental locations throughout the country, there was over 4,500 MW installed as of mid-2014. The third annual “Solar Means Business” report was done by the Solar Energy Industries Association, a Washington, D.C.-based trade group. The rankings only counted photovoltaic systems connected directly to a company’s facility. The report features some of the largest companies in the U.S., with several Midwest-based companies — such as Target, General Motors, Kohls and Walgreens — cracking the top 25 in the amount of capacity installed. Walmart leads the country in capacity (105.1 MW) and number of systems (254) installed. Ikea, meanwhile, leads in the number of states where it has installed PV systems on its buildings (20) and the percentage of its buildings that include solar installations (87 percent). Retailers in general lead among sectors of the economy. Volkswagen leads the auto industry with slightly over 10 MW of solar installed at its U.S. facilities, which includes the 33-acre system next to its plant in Chattanooga, Tennessee. As average electricity rates have increased for commercial users, the report says the costs for installing on-site solar are declining. For businesses sampled in the report, average electricity prices have risen 20 percent over the past 10 years while the average price of a PV project has dropped by more than 45 percent since 2012. While companies in California and the East Coast continue to dominate the commercial market, southwest Ohio and southeast Michigan lead the Midwest in the number of installations, according to SEIA data. But favorable policies are leading to increased output elsewhere in the region. “The Midwest hasn’t seen a huge amount of solar activity but Minnesota, Illinois and Missouri are gearing up pretty quickly,” Johnson said. ConEdison Solutions, a New York-based energy services provider and subsidiary of Consolidated Edison Inc., started looking into installing solar systems for business and residential consumers around 2008, according to Michael Perna, ConEdison Solution’s vice president of marketing and business development. At the time, solar manufacturing was rising in Europe, states were starting to set renewable portfolio standards and the federal government was providing a 30 percent tax credit for solar installations. By 2010, the company was installing systems for businesses. “Now is a good time to get into solar,” Perna said of the time. Now, he sees big businesses — such as those highlighted in the SEIA report — increasing their capacity for two reasons: Because it’s part of a bigger sustainability plan and because it makes financial sense to do so. This entry was posted in News and tagged solar by Andy Balaskovitz. Bookmark the permalink. The Iowa Supreme Court ruled July 11 that a solar installation atop a municipal services center in Dubuque does not violate Iowa law, a decision experts called potentially ground-breaking for the spread of rooftop solar power. The board early this year solicited feedback about the future of rooftop solar and other forms of distributed renewable energy. It recently requested additional comments, and now is mulling over its next move. Bolkcom predicted that today’s ruling could encourage Iowa legislators to take a more supportive position towards renewable energy. “If there’s more deployment of solar in Iowa, [legislators] are going to be more inclined to make policy that advances distributed generation,” he said. Eagle Point Solar, based in Dubuque, installed a 175-kilowatt system on top of the Dubuque city building in 2011. Alliant Energy, the electric utility that serves the city, appealed to Dubuque’s city council, then to the state’s utility regulator, claiming that the project would violate the law. Alliant argued that Eagle Point would be functioning as a utility, and thus impinging on the utility’s legal monopoly over electrical service in Dubuque. The Iowa Utilities Board ruled that Eagle Point was, in fact, functioning as an illegal utility. The ELPC and other renewables advocates appealed to the Polk County District Court, which in 2013 reversed the regulator’s ruling. The Iowa Supreme Court then opted to review the case. The case basically turned on a funding mechanism known as third party financing. 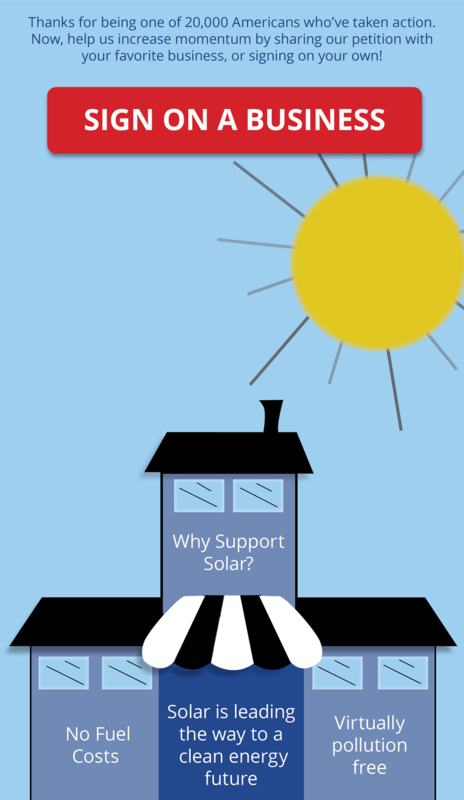 It allows a party other than the solar installer or provider to finance, own and operate a solar installation on another entity’s property, providing energy to the property through a power purchase agreement. Entities without any tax liability – governments, non-profit institutions, some hospitals and schools, for example – cannot collect tax credits for renewable energy. Hence such third party power purchase agreements are often crucial to making the finances of rooftop solar work. Meanwhile even many people or institutions who can collect tax credits have trouble coming up with capital to install solar panels. Tim Dwight, a solar developer in Iowa, said that the typical residential solar installation now costs in the neighborhood of $16,000. Although almost half of that could be covered by the federal and Iowa state government credits, the remaining funds can be a barrier for homeowners or business owners; and banks are often reluctant to make loans for solar installations. Hence third party financing can be crucial for a wide range of solar and other renewable applications. Dwight predicted that today’s ruling will help turn small-scale renewable energy projects into an attractive investment opportunity for insurance companies, banks and even individual investors. The ruling came on the heels of a recent tripling of the state’s renewables tax credit; and renewable advocates also hope the utility board’s ongoing inquiry into distributed generation will yield positive results. Foss said Alliant maintains “unwavering” support for renewables, and for integrating them into the utility’s distribution system. There are now about 670 renewable energy generators on Alliant’s system in Iowa, “and more people asking to connect to the grid every day,” Foss said. He added that customers will still be reliant on power provided by Alliant when the sun isn’t shining or the wind isn’t blowing. Klein acknowledged that the growth of distributed generation raises tough issues for utilities. “One of the important aspects of the case is that it says that the purpose of utility regulation is to protect the public, not the utility industry,” he said. Generating one’s own power “behind the meter” — meaning it doesn’t move through a utility’s distribution system – is a private transaction and should not be subject to interference by a utility, Klein said. Even so, he said this ruling clarifies the need for utilities and the renewable energy advocates to collaborate. “We can’t have policies that single out customer generation and try to kill it,” Klein said. Is Iowa prepared for more distributed energy? As Iowa faces a potential surge in distributed generation, advocates and some legislators are concerned the state isn’t prepared. In recent comments to state regulators, MidAmerican Energy, one of the state’s two largest investor-owned utilities, says that to date this year inquiries about interconnections for distributed generation are coming in at twice the rate they did in early 2013. However, the utility forecast that substantial growth in distributed power will cause a raft of problems, at least in the current policy environment. The Iowa Utility Board, sensing a growing interest in renewables, in January invited feedback about where the potential and the pitfalls might lie. While dozens of people expressed a desire for more distributed energy in the state, they also identified significant issues that stand in the way. In its comments, MidAmerican voiced concerns common among utilities: that customers who don’t generate their own power may be bearing an unfair proportion of the system-wide costs of transmission and distribution services – on which small generators rely just as much as customers who don’t produce power. Bills need to reflect the cost of services used by customers who generate at least some of their own power, the utility said. MidAmerican roughly estimated that, should 25 percent of its customers install solar panels, costs for the other 75 percent of its customers might increase by about 8.5 percent. Those concerns, however, were part of a raft of comments supportive of expanding distributed renewable power. Since the board issued its notice of inquiry on Jan. 7, comments have come in from 208 people and organizations — including a man trying to build a net-zero house, a collection of 66 farmers and rural business-owners, the state’s large power utilities and 25 state legislators. David Osterberg, founder of the Iowa Policy Project and a professor in the occupational and environmental health department at the University of Iowa, said the key is providing utilities with proper incentives. One recurring theme in the comments to the board concerns the need to determine the costs and benefits of distributed energy. Utilities and advocates agree on the need for an objective assessment that has a chance of putting to rest questions about how distributed energy impacts utilities. Studies have been done in several states, yet the debate rages on about whether distributed energy is a net benefit or a net cost to the companies that move power from one point to another. “We need to base decisions on actual data, rather than on fears or blanket assertions,” said Josh Mandelbaum, who submitted comments on behalf of seven environmental organizations including the Environmental Law & Policy Center, where he is a staff attorney. The enthusiasm expressed for distributed energy comes just weeks after the Iowa legislature opted not to move ahead on three bills that would have advanced solar energy in the state. One of them proposed a new renewable energy standard requiring 105 megawatts of solar by 2017. Another would have doubled the amount of state tax credit funds available to subsidize installation of on-site renewables. In a phone interview, Rep. Charles Isenhart said the utilities board, with the information gleaned from this information-gathering exercise, could add considerable heft to legislation aimed at fostering more distributed generation. Those who submitted comments addressed many other issues. Several parties wanted the state to extend existing incentives to industries for the development of combined heat and power, a largely untapped technology with substantial potential in Iowa to reduce industrial power use by generating both heat and electricity with a single fuel source. Others urged the board to extend net metering, which now is available primarily only to customers of large investor-owned utilities, to customer/owners of rural electric cooperatives and municipal utilities. James L. Eliason, who identified himself as a retired scientist, expressed a common view that the transition to distributed energy is inevitable. This entry was re-posted with credit to Karen Uhlenhuth and original post on Midwest Energy News. Iowa is well established as a national leader in wind energy and biofuels. And now the state is poised for serious growth in solar as well. “The market is exploding in Iowa,” says Tim Dwight, a former Iowa Hawkeye and NFL star who has become one of his home state’s most visible solar energy advocates. Homeowners, farmers, businesses and at least one school district in Iowa are going solar. Also, over the past year, several municipal utilities and rural electric co-ops have put up solar arrays, inviting customers to buy a share of the power generated. In Frytown, just outside Iowa City, the Farmers Electric Cooperative has been steadily adding on to a community solar project established on its property in 2011. And a few weeks ago, the co-op announced plans to put together a 750-kilowatt solar farm, which would be the largest solar-energy project in the state. It’s projected to meet about 15 percent of the co-op’s demand for power. In September, the Iowa Association of Municipal Utilities put an 18-kilowatt array on the roofs of several buildings at its headquarters in Ankeny. And in November, several organizations snagged a $1 million grant from the Department of Energy to streamline local permitting and zoning codes, and improve standards for connecting solar generation to the grid. The aim: to cut the time and costs of adding solar generation. State lawmakers who attended a recent solar tour have pledged to help. Iowa’s solar capacity remains a tiny fraction of its overall energy mix — at the end of 2012 the state had only about 1 MW of solar installed compared to more than 5,000 MW of wind. But the same market forces driving solar growth in other parts of the country are being felt in the heartland, too. The biggest factor driving all of the fireworks, according to Haman, not surprisingly, is money. “Incentives are at an all-time high, and costs are at an all-time low,” he said. The cost per watt is between $3 and $3.50 now, compared with a range of about $7 to $10 several years ago. Systems typically pay for themselves within a decade now, given federal and state tax credits and, in much of central and eastern Iowa, a subsidy available to customers of Alliant Energy. A decade ago, Haman said, recouping the costs of a solar installation could take 30 to 50 years. Haman says money is not the only factor, though. He said Iowans have been waking up to solar power – an observation shared by Warren McKenna, the general manager of the Farmers Electric Co-op. Finding himself on sort of a solar-energy lecture circuit of late, McKenna gets to listen to lots of people. And he says they’ve been taking notice of solar panels in other places – Minnesota, Colorado, California — and have been pressing their utilities to get on board. Traer Municipal Utilities installed a 40-kilowatt community solar project a few months ago, said manager Pat Stief. All 106 panels have been purchased by 42 customers. They paid $530 per panel, rated at 305 watts, and will see a credit on their monthly bill for 20 years. The Hawkeye Rural Electric Cooperative in northeast Iowa intends to put 25 kilowatts of panels on its property in Cresco, and also will invite members to invest in a share of the power. Ted Kjos, manager of marketing and communications, is looking ahead to a possible second phase. “We’ve done a survey of our membership. A significant amount of our membership is interested in the co-op providing this,” he said. Solar in Iowa has gotten probably its greatest single boost from Alliant Energy. In 2008, when Alliant put together its efficiency plan, designed to outline efficiency efforts through 2013, it proposed to subsidize small, on-site renewable energy projects. For the first few years, there were very few takers. But the story’s changed dramatically in the past year. Haman, from the Iowa Energy Center, manages a state revolving loan fund that provides interest-free money to help people pay the upfront costs of installing renewable energy systems at their homes or businesses. He said there’s been “a steep rise” this year in the number of people seeking loans for solar panels. “They’ve all come in in this past quarter,” he said, and nearly all of them – at least 40 out of 45 solar projects that have been processed – are from within the Alliant territory. Installer Michele Wei concurs that there’s been a mad dash of late. The Decorah Community School District, interested in putting panels atop several schools, has scurried to get its application in before the program expires. Superintendent Michael Haluska said the district will start small – probably about 24 kilowatts atop three or four schools. And while there’s nothing like a deadline to organize the mind, several people familiar with solar matters in Iowa said that Alliant Energy could – and should – have made a greater effort to publicize the subsidy for on-site renewables, which it will be terminating as of Dec. 31. The utility claimed that not many people were taking advantage of it. Justin Foss, a spokesman for Alliant Energy, said that the company routinely informs customers of efficiency benefits, like the on-site solar rebate, through articles in a company newsletter that goes out with monthly bills. The network of solar dealers working in the state is “the best collection point” for getting such information out, he said. But when Alliant has changed procedures and moved up deadlines, Wei said, the utility has failed to keep installers up to date. Meanwhile, business remains brisk for installers like Wei. This entry was originated by Karen Uhlenhuth. The Notice of Funding Availability for the USDA’s Rural Energy for America Program (REAP) was published in the Federal Register on Monday, May 5, 2014. The deadline for submitting grant applications is July 7, 2014. The NOFA containing details and additional information is available here.